Hubspot has a great post on blogging. As I am continuously trying to improve my blogging by adding value and substance to my blog posts, I found Joe Pulizzi’s post to be very to be a constructive. 1. Who are your primary and secondary targets for your blog? 2. What do you want to tell them? 3. Do you understand what the key informational needs of the audience are? Here is a link to the complete post, Before you Start Blogging, Ask Yourself These 10 Questions. Are you blog posts worth link backs? Do your blogs provide valuable content? Are they educational and informative? If your answer is no – there’s a good chance you not an Alpha blogger. Being that I’m a blogging neophyte, I hardly consider myself an Alpha blogger either – but as the saying goes, “knowing is half the battle.” In a conscious effort to become a better blogger, I subscribe to a variety of different blogs (check out my blogroll). I’m a firm believer that you become a better writer by reading, so I read every blog I possibly can. Whether your an enthusiast like me or a professional you can always improve on your craft. So, I have provided links to two articles that are sure to send you on your way to Alpha blogdom – 8 Quick Ways to Write Article for Your Business and Five Grammatical Errors that Make You Look Dumb. In Hubspot’s 8 Ways to Write Quick Articles for Your Business Blog, Pete Caputa presents eight ways to write an article in under 20 minutes. Possibly your already using one of the methods such as remixing content you have previously written or aggregator blogging – but there are other ways such as link blogging and running a contest that make this post a must read. Successful blogging never occurs in a vacuum. Only 1/3rd of a successful blogger’s time is spent writing. They’re not usually sitting down in a quiet room with a pad and paper to write. They’re reading, commenting, networking, and spending a good majority of their time interacting online with people who have similar passions. The unexperienced blogger might think that this process would take even more effort and more time, rather than less. However, by interacting with other people, ideas come easier and words and paragraphs begin to flow. This second post is from Copyblogger Five Grammatical Errors That Make You Look Dumb by Brian Clark. In his post Brian points out 5 grammatical errors, that are sure to subtract from your credibility as a writer. Read this post to ensure that you avoid them at all costs. While we all hope what we have to say is more important than some silly grammatical error, the truth is some people will not subscribe or link to your blog if you make dumb mistakes when you write, and buying from you will be out of the question. Share the living HELL out of the humanity and the real world-ness that goes into being a blogger and a technologist and someone from the future. Because what you know WILL change the way people live, and it’ll work a whole hell of a lot better if you help people get there, instead of maintaining that strange distance. I’m sure you will enjoy Chris’ post as much as I did. 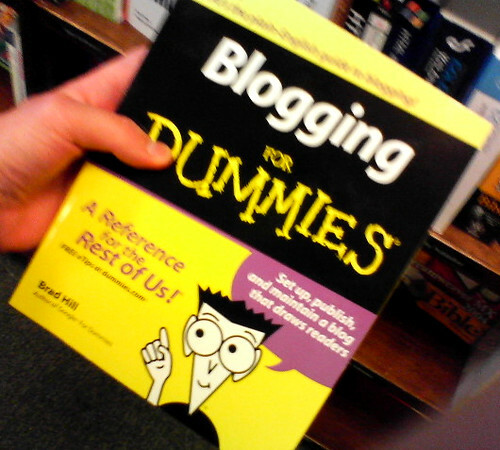 Your blog topics are getting weak. You had a nice run with passion for a while, but now, you’re looking for better blog topics, more interesting content, and you’re still trying to grow that elusive community. How are you going to succeed? Chris Brogan advises businesses, organizations and individuals on how to use social media and social networks to build relationships and deliver value.